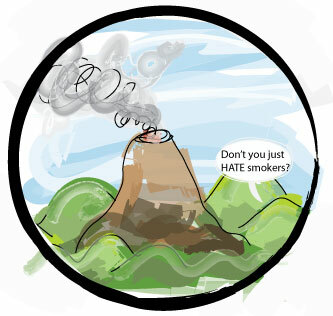 Shelley cartoons: Anti-smoking campaign strengthens. quickly scribbled on new graphics tablet. Snort. Actually. SNORT SNORT water on keyboard sigh.